Hello and welcome to this week’s PJT, your regular catch-up on key appointments news in our industry. It’s been a difficult seven days; it’s never good news to hear of job losses, especially on the scale which may result from LSL Property Services’ restructuring announced last week. 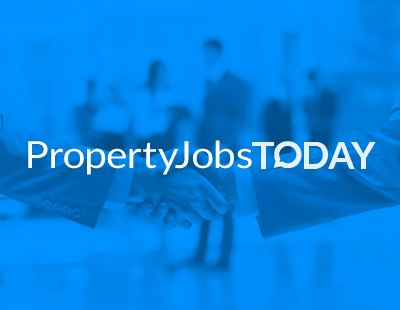 But there are new opportunities too: if you have new appointments to fill, or news on new faces in your organisation, please do email press@estateagenttoday.co.uk and we’ll publicise appropriately. Let’s start this week with jobs growth at Spicerhaart Part Exchange and Assisted Move, which works with builders and developers across the UK. Customers range from Persimmon, Taylor Wimpey, Redrow, McCarthy & Stone and Barratt Homes to smaller independent builders and innovative developers like Nu Living. The part-exchange business has doubled staff numbers in the past five years and is now actively seeking to expand even further by taking on an additional sales consultant and two new business development managers. The team is also looking to relocate to a larger office in Sheffield. Jan Biggins, national sales manager at Spicerhaart Part Exchange and Assisted Move said she thinks the slowdown in the market has encouraged more developers to look at adding a part-exchange option for buyers: “As a result of Brexit, the property market has been a lot slower, and developers are finding it considerably harder to sell their new builds. However, those that are adapting offer a 'complete package', including options for those who want to buy but are unable to sell their current home, are securing more sales. Also in the north of England there’s growth news from London-focussed agency Portico, which is linking with coffee shops in Manchester and Liverpool to act as outlets for its growing short-lets business, Portico Host. This new venture will be led by Rachel Dickman, who joins the team as Portico’s regional manager for the north west. Rachel is an industry veteran, with experience working with property agents such as YOPA and Countrywide. Joining her is Emma O’Rourke, who has been appointed Portico Host manager for Manchester. Now let’s head to Scotland where leading chartered surveyors company DM Hall has appointed Ronnie Colman as a property services consultant based in the firm’s Dunfermline office. A practicing architect for 15 years, Ronnie brings significant experience and contacts throughout Scotland’s legal profession to his new role. He worked previously for First Scottish, the legal search and property service operator. Now to the mortgage sector, where two new area directors have joined Just Mortgages’ self-employed division. Jon Taylor is the new area director for the south east while Jason Whiteley takes up a similar post for the north east. Jason has worked in financial services for 22 years, beginning his career as a consultant at Royal Liver Assurance. He then moved to Reeds Rains where he worked for 18 years as a mortgage and protection adviser and then as financial services manager of a team of brokers based at estate agencies throughout the group. In 2017 he moved to the Independent Mortgage Broker and then was area manager at PRIMIS before joining Just Mortgages. Jon started his career as a branch manager at Lloyds where he worked for 14 years before moving on to become a mortgage consultant at Countrywide. He was there for more than 18 years holding a variety of different roles, most latterly, as regional sales manager. Finally this week there’s news from residential property management firm First Port, which has made two senior appointments to its HR leadership team. Meanwhile Craig Rowe has been appointed as Head of HR. He brings with him an in-depth senior level experience of customer-focused industries, leading managerial training programmes at Morrisons, and the HR related to a major acquisition at Iceland. He also worked in strategic HR positions for disability charity, Scope and restaurant chains Benugo, Cosmo and Wagamama.